When the former Yugoslav Republic of Macedonia, now the Republic of North Macedonia, declared independence in 1991, a new state emerged but kept many of the habits of its communist past, including a highly centralized government. In political science, centralization occurs when a central (i.e. : federal or national) government holds overreaching executive power over local governments. Centralized governments are known to hold back regional development and suffocate democracy. Local governments are close to the people and capable of responding to their needs, and, statistically, are more likely to see higher levels of citizen participation in public votes. The People’s Republic of China, North Korea, and the post-Soviet states are prominent examples of countries with a centralized legislative and fiscal system and a lack of power distribution. It is not a coincidence that throughout history many examples of centralized countries are also undemocratic ones with dismal human rights protections. Despite efforts to decentralize decision-making to local communities through legislation passed in 1999, 2001, 2002, and 2005, little has changed in the day-to-day lives of North Macedonians. North Macedonia’s centralized government has let its citizens down. For example, most waste ends up in landfills. The federal waste management plan was adopted in line with EU guidelines and directives, which put the burden of executing the plan on local authorities. Rather than bringing Noth Macedonia in line with Europe, the policy was a failure, and today over 90% of waste ends up at the landfill and only a small percentage is recycled. Local authorities lack the resources to implement effective waste management and recycling programs; they are financially dependent on the federal government, which is slow-moving and unable to respond to the unique needs of each region. When I visited North Macedonia, I was terrified by the mountains of trash lying around municipalities. Research has shown that landfills are dangerous for the physical and mental health of those who live near them, that they drive down property values, and that they may contaminate the ground, water, and air around them. 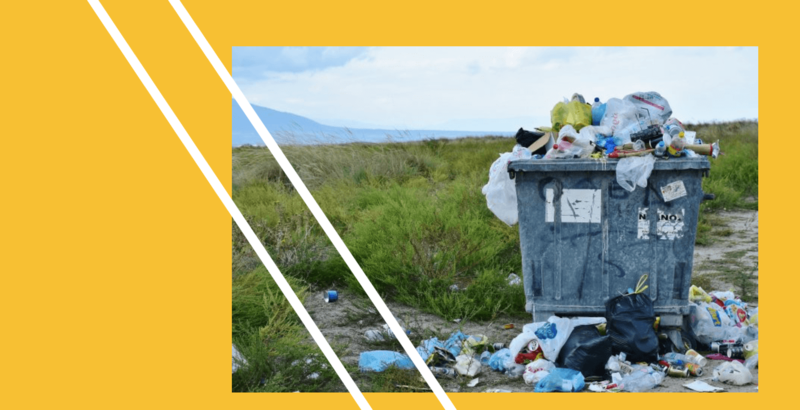 Sustainable waste management calls for both a bottom-up and top-down approach which will involve the people, local governments, and the federal authorities. A simple step towards dealing with this growing problem in North Macedonia would be to implement recycling programs. If the central government tried to implement a recycling program, it is likely they would struggle to allocate funding to each region appropriately. Research from other countries shows that local institutions are more efficient in promoting locally-oriented environmental sustainability initiatives, including waste management. Furthemore, new projects can only be successfully implemented by engaged civil servants, not bureaucrats disconnected from the issues. The European Union has throughout the years emphasized the importance of local governance, even offering subsidies to local projects as part of their pre-accession process. In order to access these subsidies, however, local authorities must have already begun financing the programs themselves. In North Macedonia, where local authorities rely on the central government for nearly everything, this process has been stalled terribly. Not only is infrastructural development moving at a snail’s pace, it is possible that some people might start to feel disenchanted with the EU. North Macedonia’s legacy of Soviet-style centralization has already begun to clash with ambitions for EU membership. Whether the country will be able to reform enough in time is anyone’s guess. Krzysztof Lechowski holds a BA in International Relations and is currently finishing his MA in International Security and Law at the University of Southern Denmark. Krzysztof feels passionate about transitional justice in post-communist countries, democracy, and sovereignty. He loves to discover new cuisines and meet new people.